Holds 16 Cubic feet of material (approx. 1/2 yard). 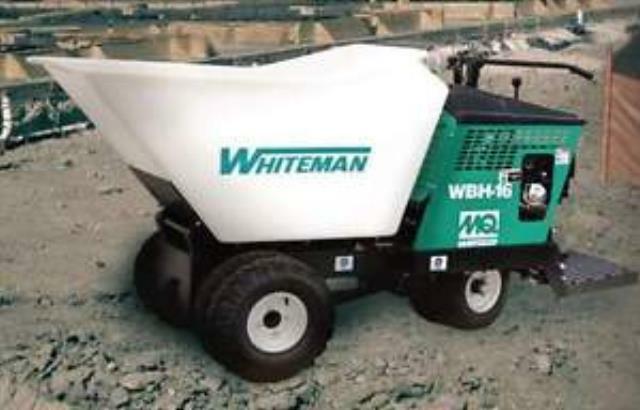 Hydraulic dump feature, controls by hand or foot. Tires are foam filled to prevent flats on your construction site. Measures 8'8" long with platform down and bucket in the fill position. Weighs 1135 lbs, and can hold up to 2500 lbs. * Please call us with any questions about our material buggy rentals in Corning and Bath, serving the Finger Lakes Region of New York.